Organizer : The Hong Kong Veterinary Association Ltd. Acute blindness is a very common ocular abnormality seen in general practice and it can affect the animal's quality of life. In this seminar, Dr Anthony will discuss differential diagnoses, diagnosis and management of acute onset blindness. Dr Antony Goodhead qualified with a BVSc in 1990 and MMedVet (Ophth) in 1994. He worked as veterinary Ophthalmologist in referral practice from 1994 to 1997, and is a Senior Lecturer (Part time) at Onderstepoort Faculty of Veterinary Science from 1997 to present, his duties include lecturing both pre and post graduate students, he is also a mentor and co mentor for two post graduate veterinary ophthalmologists. 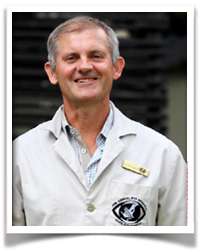 Dr. Antony Goodhead started Johannesburg Animal Eye Hospital in 1997, which is the first 100% dedicated specialist practice in South Africa. He then opened Cape Animal Eye Hospital in 2011 and did consulting there on a 1 in 3 rotation. Dr. Antony Goodhead had been consulting in Hong Kong, UAE and Malaysia for referral ophthalmology cases for the past 12 years.